We're always delighted when folks help us spread the word about the band. Here's a selection of the coverage we've received. New York Times best-selling author Robert Fulghum (Everything I Need to Know I Learned in Kindergarten) wrote about his experience performing with TBGO in the 2012 Seattle Seafair Torchlight Parade. If you've ever wondered what it's really like to be in a marching band, THESE will give you the straight skinny. We particulary recommend Part 3 below; it's the best description of the marching band experience we've ever seen! to his list of indignities. Community Hotline 5_23_18 The Beat Goes On marching band from MetroEast on Vimeo. Always enjoy getting together with Monica Weitzel at Community Hotline! This time we got to chat about the best parts of our European tour, including the Bloemencorso Bollenstreek parade near Amsterdam, our show at a castle in Utrecht, and our show on the shore of Lake Lucerne. 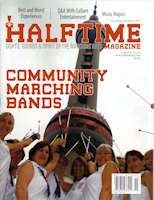 Halftime Magazine reported on highlights of our European trip. A huge THANK YOU to Samantha Swindler of The Oregonian and Oregon Live for a terrific story on TBGO, complete with pix and video. Jess Wishon has a short documentary that captures the flavor of the band. Check it out right here! 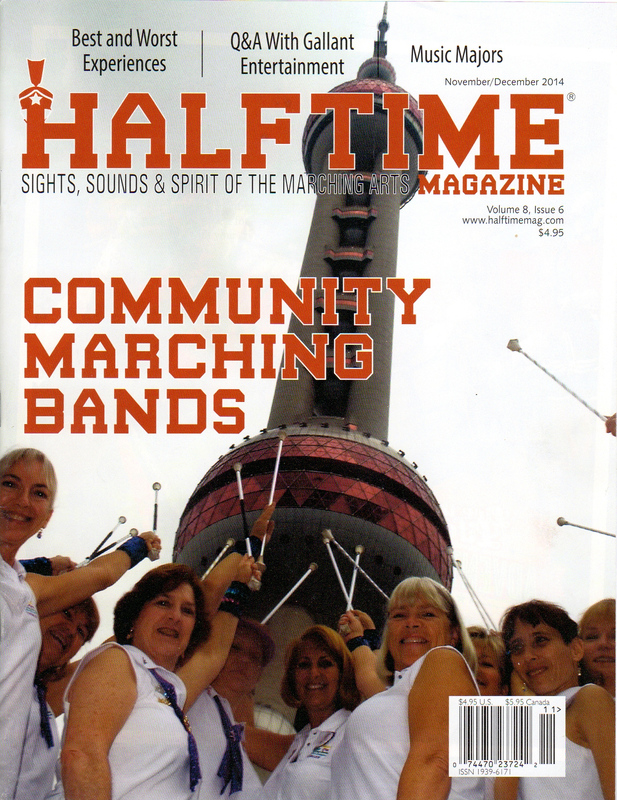 We made the cover of Halftime Magazine and got great ink in a story on comunity bands, including coverage of the China trip. Thanks to NW Boomer & Senior News for coverage of our time in China. We got to chat about the band and the China trip with our friends at Community Hotline. TBGO heads for Multnomah Village and Shanghai (how's that for a pairing?) in this article from the Tigard | Tualatin | Sherwood Times. Our historic performance in the Oregon House of Representatives sparked this article in the Portland Tribune. Meet TBGO in this article from The Southwest Community Connection. Nice story about the band and our Bahamas trip from the Tigard | Tualatin | Sherwood Times. Click here for older press releases. Globetrotting Band Keeps the Beat Going in Europe: Oregon's marching band ambassadors,recently completed their first trip to Europe. 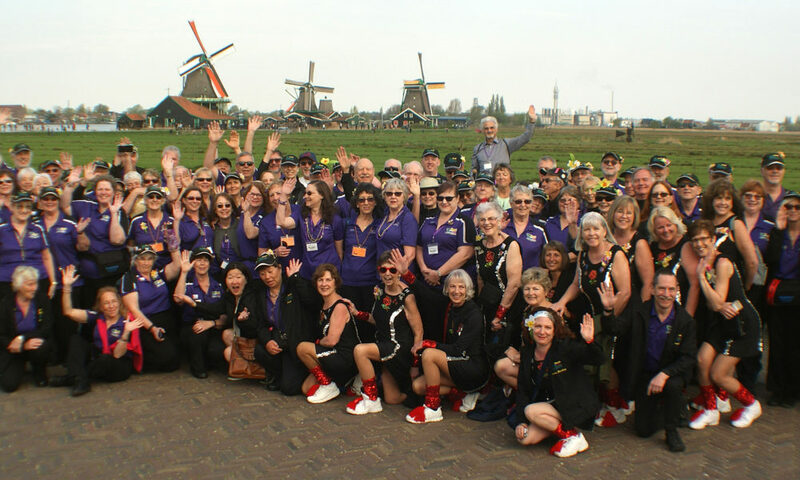 The all-adult marching band's 120 members visited several countries during a 17-day tour in late April and early May. The band marched in a pair of segments of the two-day, 24-mile Bloemencorso Bollenstreek, one of the world's largest and longest flower parades, through the suburbs of Amsterdam. It also played outdoor concerts at Slot Zuylen castle near Utrecht in The Netherlands, and along the shore of Lake Lucerne in Switzerland. Upon his return from Europe, TBGO President and Music Director reflected on the trip, which was a year in the making. Portland, part of the 33rd Annual Festival of Flowers.